King Edward Imperials are mild-bodied machine made cigars that offer a subtle flavor with a smooth draw. Imperial cigar consists of a special blend of tobacco derived from four different countries and encased in a natural leaf wrapper, allowing for a complex combination of tastes you won't soon forget. 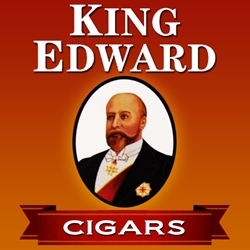 King Edward Imperial cigars offer excellent taste, price, and quality every time. Cigar lovers everywhere have fallen in love with this classic brand. Smokers Discounts believes you will love them too! We’ve made it easy and affordable to buy machine made cigars online. Call us for more details!